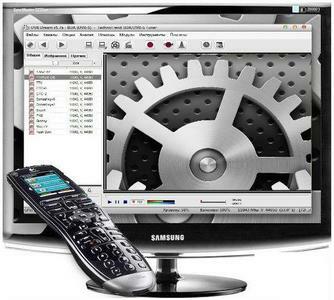 DVB Dream - an alternative program for satellite tuners. The greatest interest is a just for holders DVB-S and DVB-S2 tuners , but additionally supports digital standards DVB-T and DVB-C. Has very rich functionality and advanced settings . Interface is convenient and quite attractive . It supports skins , change part design panel. Overall, the program DVB dream made very soundly. There is a thoughtful dialogue , multilingual interface, support of various satellite equipment and plug-ins .